The Internacional Sino-Luso Medical Forum (in its 33rd Edition) will take place in Porto, Portugal. This is the first time that the Forum happens in Portugal, as a result of the initiative of its President, Prof. Manson Fok. This Congress, gathers the scientific communities from China and from the Portuguese speaking countries, and is opened to all medical staff interested in its scientific program. The Organization of the Forum (its President, the Ordem dos Médicos and the Prof. Ernesto Morais Foundation) are thus extremely pleased to present the scientific program for all the interested. 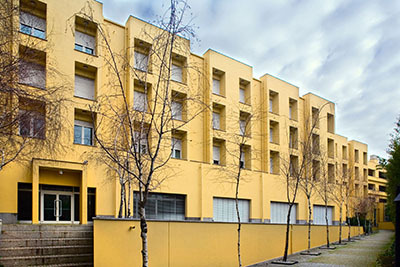 Right in the City Centre of Porto, the Casa do Médico is a unique and special place, provided with a set of facilities for carrying out professional or social activities, as well as many green spaces for leisure activities. The rooms are equipped to provide the best conditions for the holding of scientific meetings, conferences, courses and conferences. It provides an auditorium with capacity for 300 seats, a wide range of small auditoriums and meeting rooms, a multi-purpose gallery, a bar and lounge area and a residential complex. Outside, beyond the beautiful green spaces, swimming pool and two tennis courts, it has parking, recreational areas and a bar / restaurant in the headquarters building. The registration should be done online, using the form available on the conference website. Afterwards, a confirmation will be sent by e-mail. Registration includes access to all scientific sessions, conference documentation, certificate of attendance and coffee-breaks.